These days Frank Turner is rather more of a ‘positive lifestyle’ coach, though as our Live Editor pointed out on a review of his 2015 album, “Then the penny dropped, ‘Positive Songs For Negative People‘ isn’t aimed at you and I. This is a message from Frank to himself, a musical pick-me-up to help mend whoever/whatever has caused his current level of angst.” It’s an interesting concept, and one that I suspect may not be without substance. Very astute observation, my friend. 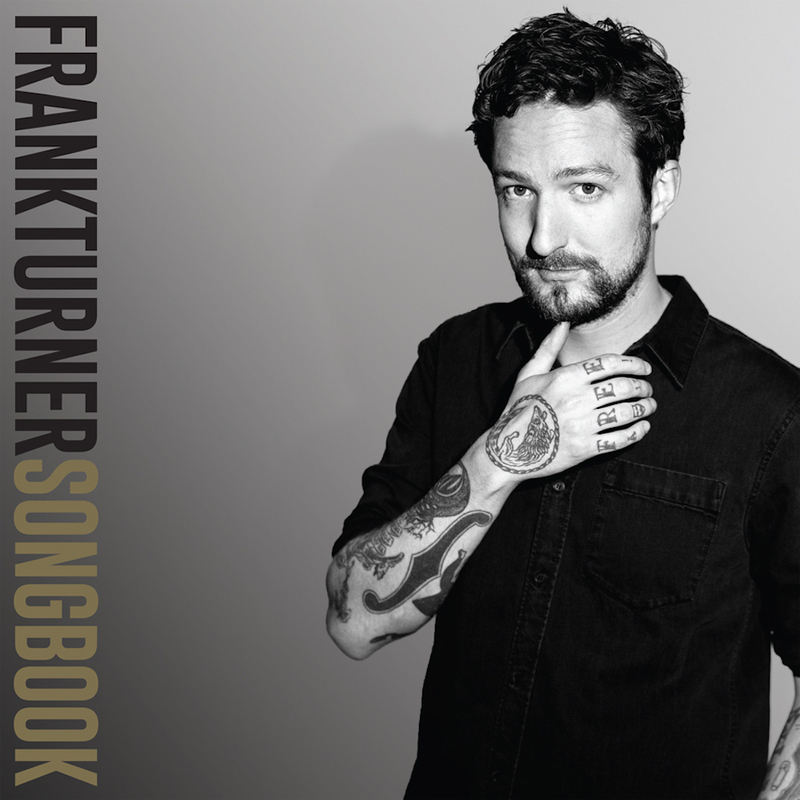 So listening to Songbook, a two disc set which encompasses what makes up the lion’s share of a typical Frank Turner show on CD1 and reinvents/reimagines others in sometimes scintillating fashion on its companion piece, is mostly a joyous, fists in the air pumpathon. Often there are shades of Billy Bragg in the painstakingly constructed melodies but obviously ramped up to a nirvanic emotional catharsis, such as the irresistible ‘Recovery‘ (from arguably his finest hour, Tape Deck Heart), or, especially, the earlier ‘I Knew Prufrock Before He Got Famous‘ from Love Ire & Song. Let’s not forget the genius of Turner’s lyrical prowess either, the latter song containing the rousing “Life is about love, last minutes and lost evenings/About fire in our bellies and furtive little feelings,” which sums up, in a nutshell, what the man is all about really. Then you have sparkling tunes like ‘The Opening Act Of Spring‘, which veers close to I’m Wide Awake It’s Morning era Bright Eyes. Of all the reworked tunes that comprise disc two, ‘Josephine‘ is arguably the most effective, this incarnation being a bare-bones adaptation that wouldn’t have sounded out of place in one of the quieter, more atmospheric scenes in the original soundtrack of Robin Hardy’s 1973 cult film The Wicker Man. It’s a far cry from the original version, which employed the kind of “Woah-oh-oh” backing vocals that Franz Nicolay used to for The Hold Steady and, as good as that was, this more sombre version has so much more impact. The rip-roaring take on ‘Long Live The Queen‘ is equally delightful and, if anything proves beyond doubt why Frank Turner is such a vibrant and vital live performer. Not that anybody needed proof of course, but this compilation serves as an irrefutable reminder that Frank is one of the great songwriters of the modern age. If he’s somehow avoided ear contact with you up to now, I would suggest that Songbook is the perfect place to start. Songbook is out now on Polydor. Yes Loz, and wasn’t his $1000+ ‘Campfire Punkrock’ holiday-with-the-stars shindig just as tasty? And the disagreeable attitude to women in his songs. And being an Eton-educated berk with his eyes on the greasy pole. All great stuff. And yes, I’ve followed his career from MD onwards too; I’m afraid a nasty whiff like old milk crept in around ‘Love. Ire and Song’, and never left. I’m surprised it hasn’t reached you yet. I’ve never understood his appeal either, Jordi. I haven’t really paid that much attention to peripheral matters, to be honest, Jordi. Clearly I haven’t noticed the misogyny you refer to either – can you give me an example? I’m far from an afficionado on Frank, despite enjoying this compilation.